How did this happen? What’s happened to me? I am a guy with Aspergers, I have two sons, one with autism and one without. I work from home, I like to go to the little neighborhood park across the street and I love to play video games, especially when I can do these things with my kids. I have less than no money, I have lots of stress and I’m over weight. I’m like the peace and quiet, I’m very awkward around other people and would gladly not talk to anyone at all if given that as an option. 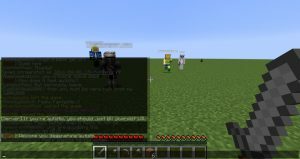 Two years ago, I started what I thought would be a quiet little Minecraft server with maybe a handful of people on it. My way of helping out some parents that were in search of other parents on social media so that their autistic children could play together in peace. I just wanted to help. No one had to know. No one had to know. It took less than an hour of telling those parents about it before I realized that this wasn’t going to be a quiet little peaceful Minecraft server. Less than 2 days later, I had over 750 emails requesting to join. Still though, we continued along relatively quietly. Word of mouth spread like wildfire bringing us far more players than I ever dreamed imaginable but outside of the autism community, it was still very much our little hidden secret. Autism parents thanked me, told me how great it was… it was nice. At the end of 2014, 1.5 years in, all of that changed. First BuzzFeed found us and then CHCH television. From the better part of December and January, I suddenly found myself in the middle of my “15 minutes of fame.” And it was scary. I like to think I did alright, being on television and answering hours and hours of questions. But that was not me. That’s not why I started the server and it’s most certainly not anything I had ever dreamed of doing nor did I want to. I’m a quiet and shy guy. I like to keep to myself. I like to not draw attention to myself. I kept thinking… no one had to know. Somewhere along the way I sort of snapped. I was exhausted and I had been talking to suicidal children on the server far too often and it hit me… the server has done better than anyone imagined but it did so due to how bad the bullying of autistic Minecraft players really is. I realized then that this wasn’t a story about success but rather a story about tragedy. If my mission was to give those children with autism a safe place in the beginning, in that instant, it morphed into a mission to both make people aware and to put an end to the bullying. I created “A Plea to the Minecraft Community” and have done so for two years in a row to help stop the bullying and I found myself pleading with the cameras and the microphones and the journalists to help me tell the world just how bad it really is. I still didn’t like the spotlight, I still cringed every time the phone rang or I was asked to send them my Skype information but I did it anyway. I had to do it. It was me they wanted to talk to. They wanted to know what kind of person would start a server like that, devote the time like that, spend many sleepless nights talking to players like that… the story they wanted was as much about me as it was the actual server and I knew, deep down I knew that I haven’t made any sort of difference at all yet. They want to write about the difference the server makes? The difference I make? I want them to write about the difference I want them to help me make. I want them to write about the real problem. What happened? I found a purpose. A reason to put my fears and shyness and my autistic tendencies aside and do it anyway because those kids (and some adults too) that I talk to on the server every day are worth it. Last night, I discovered that I have another reason. One I’ve sort of known about all along but it never really hit me until right after I said that one very poignant sentence and more importantly, to whom I had said it. I hang up my fears and desires to sit by myself and not answer the phone and I do it for my mother. As corny as that sounds. Growing up with autism and not knowing it, I struggled. I know I made her proud all the same but still, I struggled. It was hard for me and more often than not, and I mean, way more often, I felt like a failure. More so, I felt like I was letting her down. Her only son. What a let down I must have been. So now I have a chance to make her proud. I have a chance to make a difference and I do so using all the wisdom and heart that she raised me with. I still struggle and I still feel like a failure a lot of times with no money and tons of stress but at the same time… book publishers are phoning me, television producers, journalists, convention organizers… me! I’m still just a dad, in his living room holding a video game controller in his hands, praying the phone doesn’t ring so that I won’t be forced to have to talk to someone. And yet these people are phoning me and they’re phoning for all the right reasons. I’m not in the news because autistics have it hard or need services or are shut-ins… which I totally am. No, they want to hear about the wonderful things I’ve been doing all this time. All this time that I kept thinking ‘no one needs to know’. Now I realize… the world does need to know. For those children that come to me for safety. Those children need to know. Their parents need to know. People need to know about them, how great they are and how unsafe they still are. How bad the bullying still is out there. The world needs to know. And my mother, she needs to know. For all she’s done to raise me this way, to help me get this far and give me the tools to accomplish these things, I put aside my desires to say no to interviews and make myself do them. I want her to be a proud mother. I want her to be proud of her son. She deserves that much. I know now what happened and even though I’ll likely never get used to it and always feel awkward about it, I now realize one thing… people need to know. Given the right motivation, given the right reasons… a life time of being a struggling, shy and private autistic was thrown to the side and I found myself becoming a very outspoken and public autistic. A man with purpose. Given the right motivations, I believe any one else could do the same as well. I have had the fortunate opportunity to be able to talk to a lot of children with autism, thousands. Many of those talks are about some very deep and heavy topics. But many of these topics are either not being discussed or not openly enough to where I have been able to come across them. I can only imagine that this means that people don’t know these things. So, for Autism Awareness Acceptance Day, allow me to share with you what I’ve learned. I’m starting out with something that most people likely do know. In fact, there have been studies done regarding this. While the study does include some of the factors for why people with autism are more likely to be bullied, most people still ask me why this could be, especially on a Minecraft server where you can’t really know that the other person has autism. Well, you don’t have to know how a person is different to know that they are in fact different, and to a bully, being different is all it takes. Many children with autism (or any other diagnosis) will behave differently in a social setting than their ‘typical’ counterparts. Whether it be obsessing over something, not understanding innuendo or sarcasm, using words or phrases incorrectly or being easily prone to emotional outbursts such as excitement or anger. All it takes is one instance of being “weird” in the mind of a bully to make you a target. To be a victim of bullying is to be a victim of abuse. 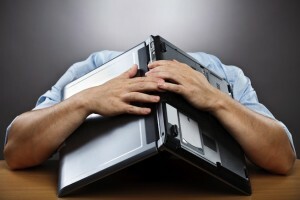 Whether it’s physical (at school or in a playground) or emotional (online), the effects are damaging and can often do far more damage (trauma) than good (makes you stronger). 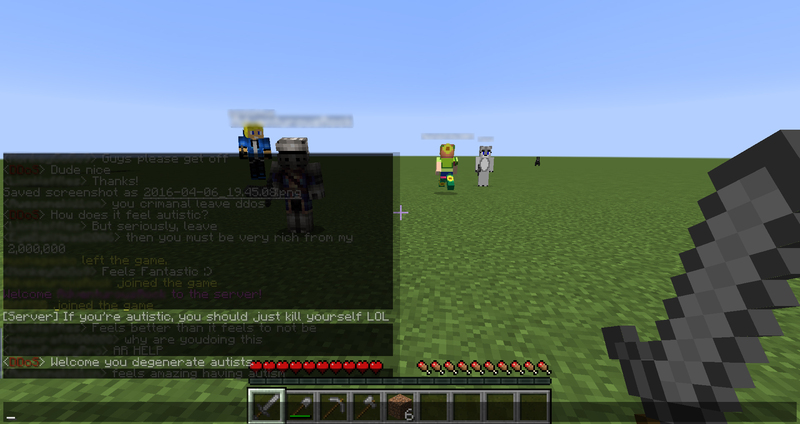 Many of the children that come to my Minecraft server end up bullying others. They tell them what to do, they get angry when someone ignores them, they say the meanest thing possible when mad and even try to destroy other people’s builds when angry. Why? One of the reasons this happens is, as I said, a child with autism may be prone to emotional outbursts. This means that something that may seem minor to you or me may mean the world to that child. Or, maybe it still doesn’t mean much to them but the ‘act’ was taken so personally that they felt very hurt by it. Often times the child will feel terrible after but in that moment, when that emotion hits, they lose control. This turns them into the bully that they hate and fear so much. Another reason is that the bullying behaviour is all they’ve ever known and thus, how they think they should be. They spend almost their entire Internet experience being bullied everywhere they go and therefore, when they finally find a place that accepts them and allows them to play without judgment, they slowly revert to the behaviour they know… which is bullying. Even though they hated it, even though it’s the last thing they’d ever want to do… it’s all they know. Finally, another reason may be that they’ve become so broken by the relentless judgments and bullying elsewhere that they have a hard time of letting go of their defensive posture. They’ve been attacked for so long that they see any minor disagreement or even accident as a personal attack on them. In most cases, they’ve had to fend for themselves and so even when they find a place where they can turn for help, whether it be my server or a school teacher or their own parents, they still feel that they’re alone. Much like a soldier returning from war, having to fight for so long, it’s hard to let that feeling go. Most children test their boundaries but at the same time, do as they’re told because you tell them to. There’s this relationship established automatically where you’re the adult, thus you have authority and the child must do as you say. If they do ask why, often a “because I said so” response will suffice. With children that have autism, not always but is often the case, that authoritative relationship is not automatic and quite possibly may never exist. Instead, the child will understand that you make the rules but feel no obligation to follow those rules unless it can be explained to them why it’s a rule in the first place. There needs to be some reason for the rule that they will need to understand before they are to abide by it. Instead of getting angry or trying to use force, take the time to explain why things are how they are. Most people in the world think that autistics are anti-social and would rather be alone all the time. While it’s true that many with autism find it difficult and even painful to socialize, that doesn’t mean they don’t desire it. From what I’ve observed, most children are weary of adding just anyone to Skype or friends lists, or at the very least, only choose those that they’ve already talked to. Many children with autism, on the other hand, are so eager to make and have friends that they will seek out and add anyone that will be willing without taking safety or security into account. This often gets them into trouble. Obviously this is not always the case as some are quite shy, scared or so extremely cautious that they’d never add anyone to anything but in general, as I’ve observed, the children with autism will go to much greater lengths to seek out new friends than other typical children. Their need to socialize and have a friend far outweighs the pain and struggle that the socializing causes them. Guilt is by far the worst thing that any child will ever experience as a consequence of their actions but when it comes to a child with autism, that guilt can last them and be in their thoughts for the rest of their life. I’m not talking about how people say you can regret something for the rest of your life, what I’m talking about goes much deeper. Those with autism can pull up the heaviest, darkest feeling of guilt from something 40+ years ago in an instant for no apparent reason and feel it as though it happened an hour ago. That even plays out in vivid detail over and over again with no indication of stopping. If you see this in your child or someone you know, believe me when I say that no punishment you can give them to “teach them a lesson” will come anywhere close in comparison. It’s in these moments when you need to be the voice of reason, the one to help them to not only absorb the lesson but to move beyond the guilt. Because if you don’t, it will linger with them forever. There is really no substitute for a caring and well trained therapist, professional and of course, parent but even when in the company of these people, a child will feel nervous, anxious and even scared. Afraid to do or say something wrong or nervous about not being able to live up to expectations. A child may just shut down or at the very least, not retain what is being taught to them. I found a way to take all of that away and to allow children to talk and play and do things together all without any fear or anxiety. And from that, the truly remarkable happened… progress! No, I’m not saying professionals don’t help children make progress but I’m talking about massive progress, exponential progress on levels so absurd that the children are learning well beyond their years about things that no one is really even trying to teach them. When you remove the fear of embarrassment, or teasing or bullying, a child will open up in ways that you could never imagine. They are free to indulge in what interests them without worrying that people will think it’s silly. They are free to meet other people that share those interests! They are more willing to take in and process what others say as their minds become more relaxed and accepting of new information. These children become hungry for more, pushing themselves to better equip themselves so that they can become even more involved in the conversations around them, to know as much or more than their peers and to share what they’ve learned without fear of someone saying that it’s dumb, or they already know it or it’s not worth knowing. They take the next steps on their own, no need for a push. If you want to see a child with autism learn faster than you can teach, find a way to remove the fear and self doubt. Easier said than done, but if we can do that, there’s no limit to how far they can go. 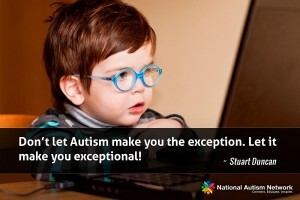 If you take anything away from this Autism Awareness Day or month, please understand this: many of the children in this world that have autism are extremely bright, they’re very capable human beings that are very caring and passionate people that can exceed all expectations if only they could live without fear. But instead, many of them are dying, taking their own lives at very early ages under the heavy weight and burden of constant abuse that we attempt to make sound not so bad by labelling it as bullying. Instead of being frightened by the number of people being diagnosed with autism this year, you should really be concerned about the number of children that will kill themselves due to fear, bullying and abuse. Those are the numbers that scare me most.